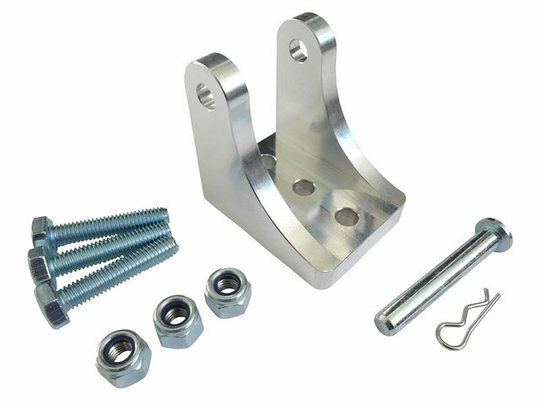 These low-cost brackets are designed to fit smaller actuators and pistons with a 6mm mounting pin size. 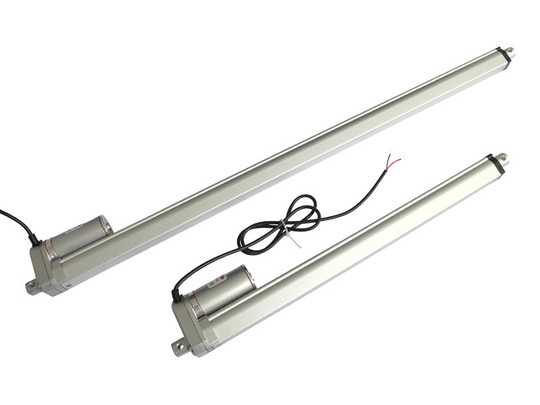 They are suitable for use with our GLA200, GLA750 and GLA600-S models of linear actuator, designed to fit both the front and rear mounting points of these devices and facilitate rotation by almost 180 degrees. 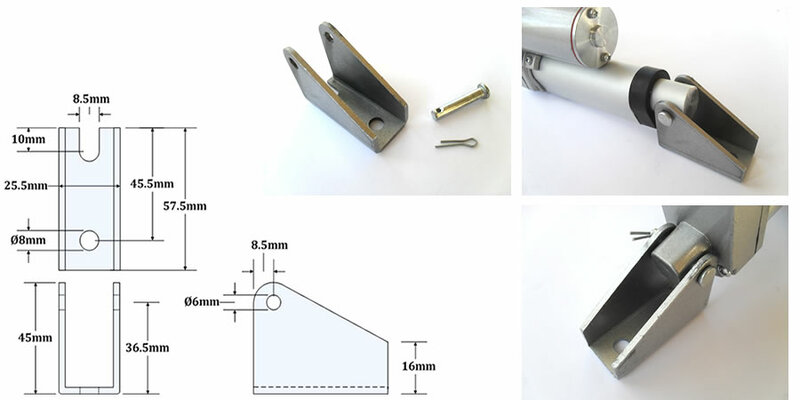 Each bracket is constructed from a robust piece of folded 3mm steel (zinc plated) and comes with a 6mm mounting pin, pin-clip, two M8 x 30mm bolts and two M8 nyloc nuts. They are rated for a maximum steady (not shock-based) load of up to 120kg. Each weighs 120g including pivot pin, excluding mounting bolts. Be aware that the brackets may have some surface scratches from storage and transit (though these scratches are superficial and should not affect corrosion resistance), if you require a more polished look then please take a look at our aluminium alternative (linked below).